First, we must not ignore the information that our native map analysis can provide, because it is the basis of all subsequent interpretations. So, in the first phase we look at our natal chart. Then we raise the chart of the Solar Return for the year we want to look at it and make a comparison between the natal chart and the Solar Return chart. The house from the natal chart where the Ascendant of the Solar Return chart falls it shows the type of activity or action that will take our attention for that year. 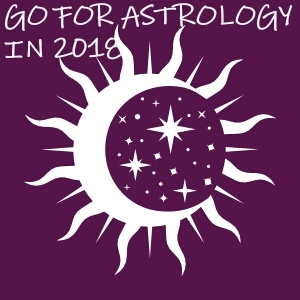 It is depending on the degree of the Ascendant of the Solar Return in the natal chart house (in the first, middle, or final part of the house), the native will start an action or will continue or will complete it, depending on the situation. And the ruler of the Ascendant of the Solar Return chart is important to analyze in the same manner as explained above for the Ascendant of the Solar Return: zodiac sign, element, house, quality and so on. It shows how the native can act in that year. We also look at the dispositor of the Ascendant ruler. The dispositor shows the resources and results of the native’s actions in that year. It is very important to analyse any planet placed on the first house of the Solar Return chart but also the aspects that are formed between the Ascendant of the Solar Return chart and other planets. The tenth house on the Solar Return chart and its ruler are very important as it shows the evolution of the native’s career and profession for the year under review. If on Solar Return chart are many planets placed in angular houses (1, 4, 7 and 10) then that year is important for the native and is invited to take actions because there is a big chance to evolve rapidly in the areas of activity described by these houses. Finally, the Sun is analysed, its position and the aspects it forms on your Solar Return chart. Rulership of a sign or house – Depending on its state, a planet is referred to as dignified or debilitated. Five states are possible: rulership, when the planet is in the sign(s) it rules, detriment, exaltation and fall. The fifth state is referred to as peregrine: a planet is peregrine when it is in none of the four states enumerated above. Dispositors – A dispositor is a delineation of planetary rulership in relation to the signs. For instance, if Mercury is in Libra, its dispositor is Venus, if Venus is in turn in Sagittarius, its dispositor is Jupiter, and if Jupiter is Cancer its dispositor is the Moon. This process continues until there is a final dispositor (sign in its own rulership) or it circles around in a never-ending chain of command.